For the longest time I found myself becoming disenfranchised with gaming. Triple A titles were becoming watered down, half finished, open worlds with nothing in them, and mostly disappointing. I was no longer getting excited about new games coming out and when one did catch my eye, I would find myself being skeptical and negative. It was becoming a little depressing. I’ve been an avid gamer since the NES days, and this genuine feeling of apathy towards my favorite hobby was weighing heavily on me. Then came the Nintendo Switch. At first, like others, I was skeptical about it. The design caught my eye, of course, but Nintendo always has their gimmick right? I was intrigued but I didn’t hop onto the hype train because I just didn’t want another disappointment. Fast forward to the beginning of 2018. Completely uninterested in anything coming to my Xbox or Ps4, I decide to pick up a Switch and Breath of the Wild with my tax return, and dove right in. Needless to say, I was utterly blown away. The seamless transition between my TV and portable play was just the tip of the iceberg. Everything the console did was fast and snappy. This was a new Legend of Zelda title that had everything it needed to be familiar and nostalgia inducing, but also so vastly different from the rest of the series that it felt new and refreshing. I was absolutely stunned. I hadn’t been this excited about a console or a game in forever. Then I picked up Mario Odyssey, and the same thing happened. Everything a Mario game needs to feel like a Mario game…and yet… so utterly different. I found myself getting excited again and it felt like coming home. Now, I’ve always been a Nintendo fan. I have owned every Nintendo system since the NES except for the WiiU. To be honest they are really the only company that has never actually let me down. They sparked my love for gaming when I was only a 3 year old obsessing over 8-bit cartridges. I guess I shouldn’t be so surprised that they would pull me out of this “Next-Gen Funk” I’d succumbed to. The Switch is just downright amazing. It has a fantastic library that is only growing more and more diverse and worthwhile every week. Plus, Nintendo’s desire to bring back and encourage that old style of “Couch Multiplayer” is truly a lovely and long sought after return to my roots. The Switch is a perfect console for the younger gamers, but it really brings something back to some of us cynical old farts that we’ve really been missing. However, as if Nintendo pulling me out of that particular hole wasn’t enough. They also pulled me out of another one. Which leads to something else I think deserves talking about. Now being in the older generation of gamers I have a fond attachment to turn based JRPGs. From my first Final Fantasy on the NES, to the stellar lineup of games on SNES. These games were a major part of my childhood. I remember getting sucked into those adventures for months on end. Seriously, the amount of times I’ve beaten Chrono Trigger is absolutely ridiculous. I have easily thousands upon thousands of hours on that game alone. At the end of the GameCube/PS2 era though…these kind of games really took a dip in quality in favor of more action based gameplay and a sudden lack of superb storytelling. I found myself disenfranchised with this genre more than any other. 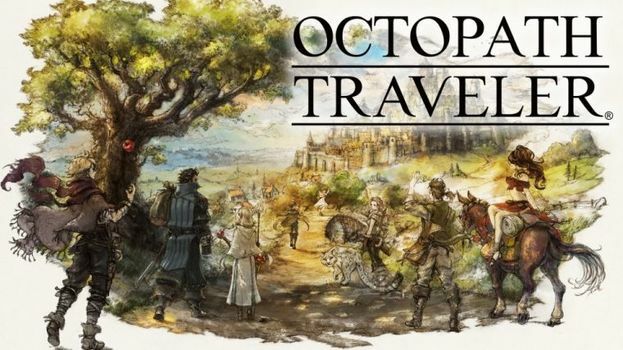 Until I downloaded the demo for Octopath Traveler on my Switch. This game is exactly what I want and need from Square-Enix. It truly captures that old time feeling of a good classic JRPG. From the music, to the small tidbit of story we got in the form of expertly sliced demos, and the highly addictive battle system (which was only a small taste of it) and it’s gorgeous art style. It’s a perfect call back to those fantastic games on the SNES. I found myself feeling nostalgic and entranced in something that felt so new. I hadn’t felt this way about a game in a long time. The moment it became available for pre-order I snatched up the Wayfarer’s Edition with no hesitation. I’m normally against pre-orders entirely but man…this game deserves my cash. 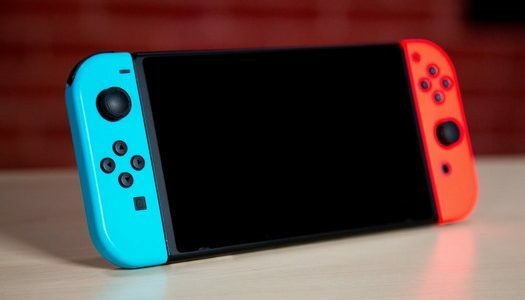 So to sum it all up before this gets even longer: The Nintendo Switch is the best thing to happen to gaming, particularly my generation, in a very very long time. I feel like I can safely get hyped about gaming again. With all the love for JRPGs being shown to the Switch so far with games like Lost Sphear, I Am Setsuna, and the incredible Switch exclusive that Octopath will be I am so stoked. Plus all those sweet Nintendo first party franchises in the mix. My rekindled love is all due to this wonderful little device. It has even strengthened my relationship to my PS4 and X-Box One. It’s a good time to be a gamer, especially if you’re on the Switch.